Vacuum pump in chemical industry- Vacuum Pump - EVP Vacuum Solution! Speaking of the application of vacuum pumps, there are too many, because there are many types of vacuum pumps, widely used in plastic machinery, brick and tile machinery, cryogenic equipment, paper machinery, food machinery, industrial electric furnaces, electronic industry, vacuum equipment, petrochemical industry, metallurgy, mining, medicine and foundation treatment and other fields. We want to know the specific application of all kinds of vacuum pumps in the chemical industry. 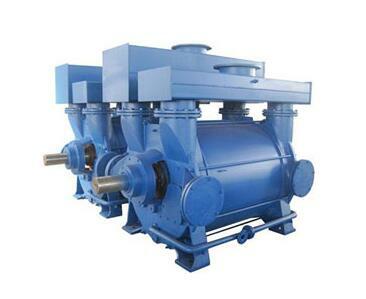 Water-ring vacuum pump (hereinafter referred to as water-ring pump) is a kind of coarse vacuum pump. The maximum vacuum it can obtain is 2000-4000Pa, and the air ejector in series can reach 270-670Pa. Water ring pumps can also be used as compressors. They are called water ring compressors. They belong to low pressure compressors. The water ring pump was originally used as self suction pump. It is composed of impeller, pump body, suction and exhaust disc, water ring, suction port, exhaust port and auxiliary exhaust valve formed by water in the inner wall of pump body. 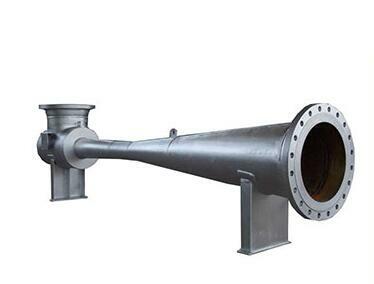 In the petrochemical industry, it is mainly used in gas recovery, gas boost, vacuum distillation, exhaust compression, tail gas recovery, polyester production, PVC production, vacuum transportation of various materials and other projects. 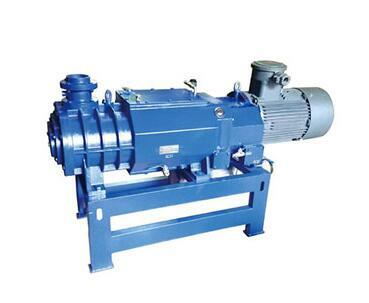 Dry screw vacuum pump is a high-tech product, which is mainly used in high-purity vacuum process. It has high vacuum degree, can adapt to harsh conditions, has the ability to extract condensation and particulate gas, especially suitable for clean environment, and is easy to do anti-corrosion treatment. Dry screw vacuum pump is a kind of suction and exhaust equipment which uses a pair of screw to make synchronous high-speed reverse rotation in the pump housing. The two screw are corrected by fine dynamic balance, supported by bearing and installed in the pump housing. There is a certain gap between screw and screw. Therefore, when the pump works, there is no abrasion between them. Rubbing, smooth operation, low noise, working chamber without lubricating oil, therefore, dry screw pump can extract gas containing a large amount of steam and a small amount of dust occasions, higher limit vacuum, lower power consumption, energy saving, maintenance-free advantages. In chemical industry, it is used for vacuum distillation and solvent extraction to recover solvents efficiently. In fatty acid production, it is used to eliminate water pollution and remove obstructions in ejectors. Jet pump is a kind of fluid action pump, which uses the energy conversion of fluid flow to achieve the conveying flow. The working fluid of jet pump can be steam, air, water and oil. Jet vacuum pump, also known as jet vacuum pump, uses the high-speed jet of the nozzle to extract the gas from the container to obtain vacuum. It is mainly used as a vacuum pump in chemical production and widely used in evaporation and distillation process. In petrochemical production, jet pumps are not only used to replace mechanical vacuum pumps, but also widely used in mixers, coolers, absorbers and so on. Roots vacuum pump (Roots pump) refers to a varactor vacuum pump with two blade-shaped rotors rotating synchronously in opposite directions. There is a small gap between the rotors, the rotors and the inner wall of the pump housing, but there is no contact with each other. 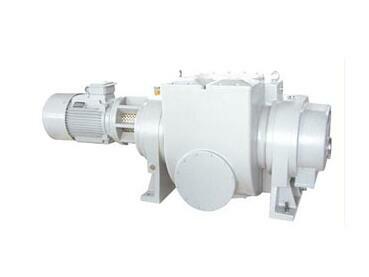 Roots vacuum pump is widely used in vacuum distillation, vacuum concentration and vacuum drying in chemical industry. Roots pump has been developing rapidly at home and abroad in recent years.